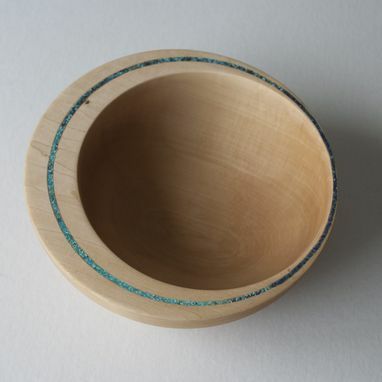 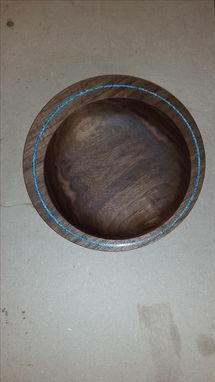 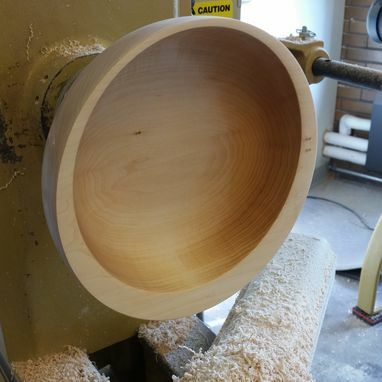 I enjoy making these off-centered inlayed bowls, they are more work than regular bowls (thus a bit more pricey) but make beautiful unique decorative objects and get a lot of attention. 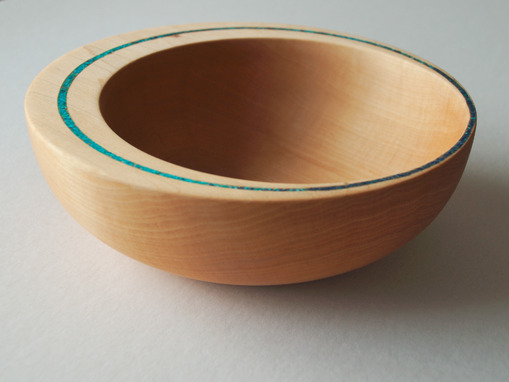 They are available in different wood and inlay colors, as well as size, usually 6" to 12" diameter. 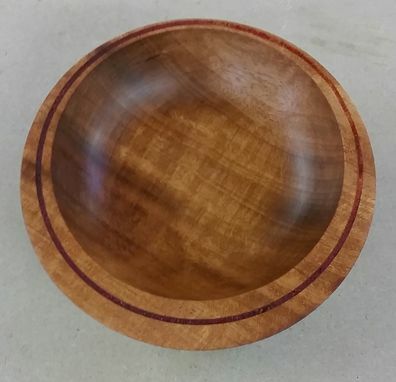 I like to use Linseed or Tung oil finish, which is food safe when cured (a month from making) and it bring out the beauty of the wood.